Given the amount of fun that’s had at bath time, it’s no surprise that the tub can sometimes look like a chaotic (and wet) toy box. It’s time to get organised and 3 Sprouts have just the thing to help us make a start. I can’t be the only mum who is frustrated by the bath tub being constantly littered with plastic toys, soaking sponges and shampoo bottles – it makes it quite difficult to run a bath quickly, let alone find the plug! The 3 Sprouts Bath Storage is not only gorgeous to look at, adding fun colour to your bathroom decor, but will also keep toys out of the tub to make for a much more organised bath time. 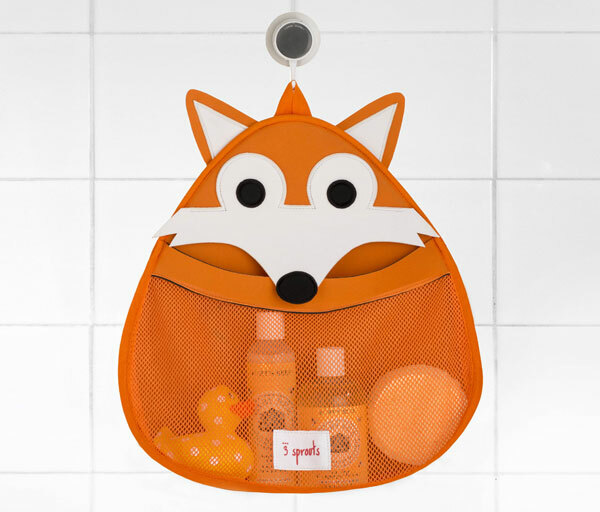 Available in a fox, owl or walrus, each Bath Storage is made from a mildew resistant material so it dries out quickly and the mesh bag allows for bath toys to air properly. 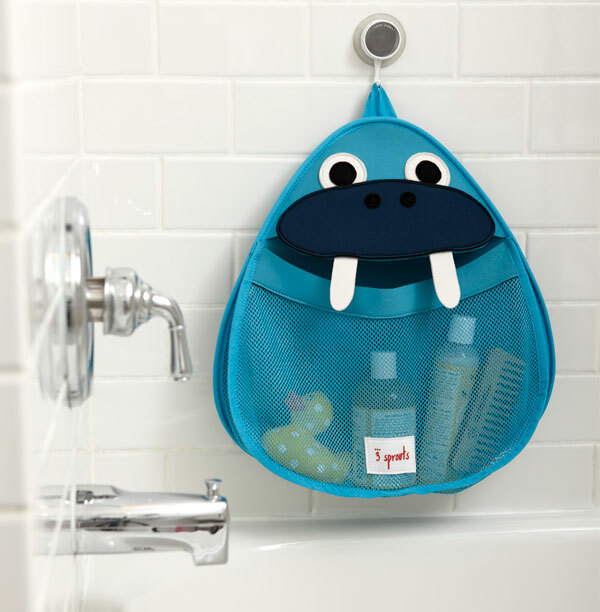 The 3 Sprouts Bath Storage is priced $44.95 and available from Treasured Poppets.